Sustainable Palm Oil? No, Not Really! A worker from PT. Raja Garuda Mas Sejati a palm oil company belonging to the Asian Agri group, a member of the Roundtable on Sustainable Palmoil (RSPO) tries to extinguish a peatland fire within the company concession near Tanjung Muara Sako village, Langgam subdistrict in Pelalawan regency, Riau province, Indonesia. Earlier this week, we released our latest research on the Roundtable on Sustainable Palm Oil, the certification system touted as the responsible option for the commodity that has been shown to be linked to deforestation, endangered wildlife deaths and massive greenhouse gas emissions. But does the RSPO actually produce sustainable palm oil? Greenpeace’s “Certifying Destruction” report shows that the RSPO is not producing anything near to truly sustainable palm oil. Unless of course you think allowing deforestation and peatland destruction is sustainable. Our mapping analysis shows significant deforestation in areas currently owned by RSPO members, and a significant share of the fires blazing on Sumatra and Borneo in June this year were in RSPO member concessions. 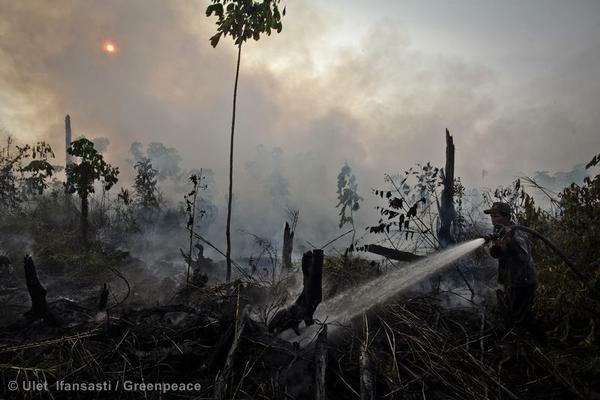 Guess that means the RSPO is in the business of certifying and selling destruction in its palm oil, not sustainability. Many consumer companies think they are buying sustainable palm oil when they buy from the RSPO, but as we have show, the RSPO is actually certifying forest destruction. This means that the international household brands, that we all use and love, that are solely relying on the RSPO, are still at risk that the palm oil they use is tainted with deforestation. 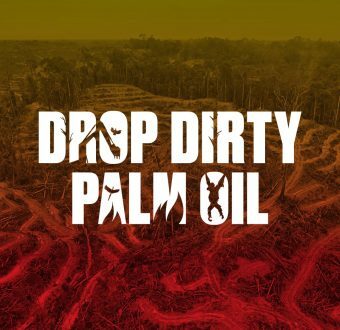 Greenpeace is asking companies like Proctor & Gamble, Colgate-Palmoilve, Pepsi Co and Johnson & Johnson, to do more to truly guarantee that the palm oil in their products is not contributing to deforestation, habitat loss for endangered wildlife and climate change. The Roundtable on Sustainable Palm Oil (RSPO) was formed in 2004 to promote the use of sustainable palm oil through credible global standards and engagement of stakeholders. It is a voluntary association, consisting of palm oil producers, processors and traders, consumer goods manufacturers, retailers, banks and investors as well as some environmental and social organizations. RSPO members account for around 40% of global palm oil production. The RSPO wants its members to be industry leaders in sustainability. However, its current standards leave its members free to destroy forests. 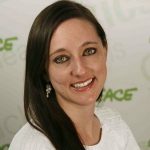 Amy Moas, Ph.D. is a senior forest campaigner for Greenpeace based in Las Vegas. She focuses on combating the drivers of deforestation around the world including palm oil, pulp and paper, and illegal logging.